Businesses are putting a greater demand on their Internet service than ever before. Many online services are a necessary component of a successful business in today’s marketplace. Many businesses can no longer get by with Residential Internet plans because their day-to-day activities are burning through their bandwidth. We’ve compiled 7 common business actions that drain bandwidth and what you can do to improve them. Use this list to get the most out of your Internet plan and save your company some money. Video streaming is the number one drain of bandwidth for businesses accounting for about 10% of bandwidth usage. YouTube, and similar video streaming services like Vimeo, offer a glut of HD videos that use a lot of bandwidth. This is a trend likely to continue. Audio streaming is just as common as video streaming, albeit less straining on a company’s bandwidth. Still, services like Grooveshark and ITunes Match allows users to store their libraries in the cloud. This sort of streaming can be more taxing on bandwidth. To curb the bandwidth absorbed by streaming services, companies can encourage employees to restrain from streaming HD videos. Many employees may be listening to music or podcasts via YouTube. If the videos are not being watched, they don’t need to be in HD. Restraining cloud based music streaming can also lower the bandwidth used. Often, file sharing services like Dropbox, SugarSync, Microsoft Sharepoint and Google Drive are critical to the daily work flow of a business. These file sharing services allow for easy collaboration and viewing of files. However they can also be big bandwidth hogs, especially with a growing number of users consistently uploading and downloading files increases. Limit the use of bandwidth by these services by minimizing the large files that are uploaded and downloaded, such as video files. Also, only bulk download and upload when necessary. Voice over Internet Protocol (VoIP) systems are also a powerful tool used by businesses for collaboration and communication. They are fantastic tools to reach someone across the world in an instant. As you can probably guess, VoIP video tools also drain bandwidth. Facetime and Skype are both video alternatives to text communication, which is the reason they’re a big bandwidth user. Whenever possible, consider using text or audio to communicate. Otherwise, don’t use the HD features offered by these services. Also remember that if you are sending video out you need the upload capacity to do it, not just the download capacity. Many connections have significantly less upload capacity. Video conferencing has similar issues to the VoIP services, but they differ for one reason. Although video conferencing (HD or Standard Definition) hosted on your network is taxing to your bandwidth, its effect can be mitigated by moving it to the cloud. Conveniently, most video conferencing also takes place during non-peak hours for ISPs. Remote connections services such as LogMeIn, GoToMyPC and Virtual Private Networks (VPNs) need a large amount of bandwidth to work, up to 1Mbps of upload bandwidth. 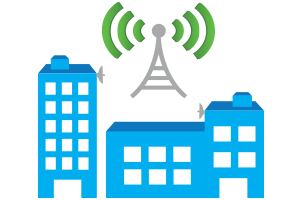 Remote connection services are also a necessary activity for some businesses. To prevent extreme usage of your Internet service try shutting off these connections when they are not in use. This will help your security and improve your bandwidth usage. While automatic software updates are convenient for users, they can be a drain on bandwidth, specifically for larger companies or companies with a large amount of connected devices. By turning off auto updates you will be able to select the time and amount of updates. Then, you can download the update once and apply it to all relevant devices, saving a lot of bandwidth. To reduce the drain of bandwidth and to keep Internet speeds high during peak hours, push updates during non business hours. This will keep your Internet running smooth when you need it most. Malware can sap bandwidth in a hurry by turning your network’s computers into bots, continuously uploading and downloading files. Malware creates bigger problems than bandwidth consumption for a company. Still, malware infected computers can burn through your bandwidth almost overnight. To help prevent this issue, here are 10 ways to detect malware. These business services are common, necessary and draining. It’s important to secure enough bandwidth for your company. Regular residential Internet Service often will not adequately cover a business relying on these services. That’s why e-vergent offers dedicated bandwidth at all times of the day. Learn more about our Business Internet plans and upgrade your service today.